What's amazing about the LA Film Festival is that the cinema aficionados, the movers and shakers of the industry, and those hungry to enter the movie business can all convene to celebrate the magic of movies. Meeting actors who have made their debut film and watching them gleam with joy and pride describing how it feels to be at the film festival was a sight to see. At the ArcLight Cinemas in Culver City, California the LA Film Festival was taking place with several movies being premiered and one in particular was the coming of age story 'Kicks'. Making his onscreen debut Actor Jahking Guillory who's confidence was off the charts and he could barely contain his excitement about the Kicks Screening talks to us about what he has planned next for his career and his favorite pair of shoes that he rocks. Inside the ArcLight Theaters the cast of 'Equity' walked the red carpet. 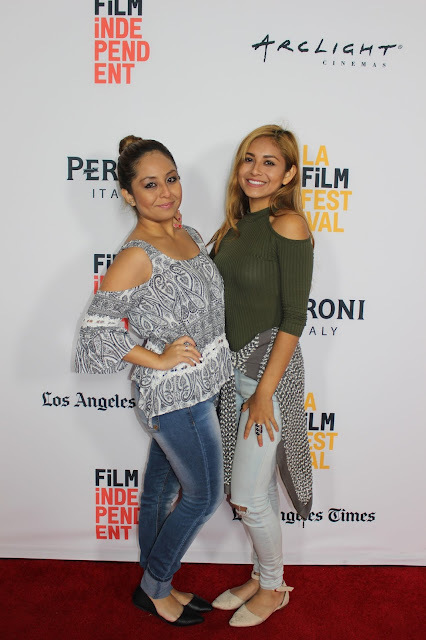 The LA Film Festival is necessary to attend if you consider yourself a dreamer, creative, filmmaker, actor or actress because being in that atmosphere you can't help to be moved to create or collaborate on films that you believe in. And yes, your short film or full length feature that you're apart of might make it to the festival one day.